Little Kelvin Santos Wakes up from the dead,Asks for water, And Dies Again. 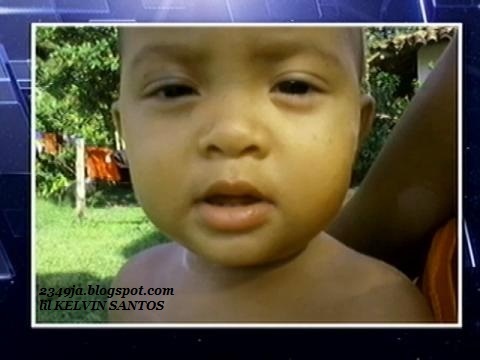 Kelvin Santos, A two-year-old boy, sat up in his coffin and asked for water before laying back down again lifeless, according to a Brazilian news website. In a case that seems almost too incredible to be true, ORM claimed that Kelvin Santos stopped breathing during treatment for pneumonia at a hospital in Belem, northern Brazil. He was declared dead at 7.40pm on Friday and his body was handed over to his family in a plastic bag. The child's devastated family took him home where grieving relatives held a wake throughout the night, with the boy's body laid in an open coffin. But an hour before his funeral was due to take place on Saturday the boy apparently sat up in his coffin and said: 'Daddy, can I have some water?'. The boy's father, Antonio Santos, said: 'Everybody started to scream, we couldn't believe our eyes. Then we thought a miracle had taken place and our boy had come back to life. 'Then Kelvin just laid back down, the way he was. We couldn't wake him. He was dead again. Mr Santos rushed his son back to the Aberlardo Santos hospital in Belem,where the doctors reexamined the boy and confirmed that he had no signs of life.